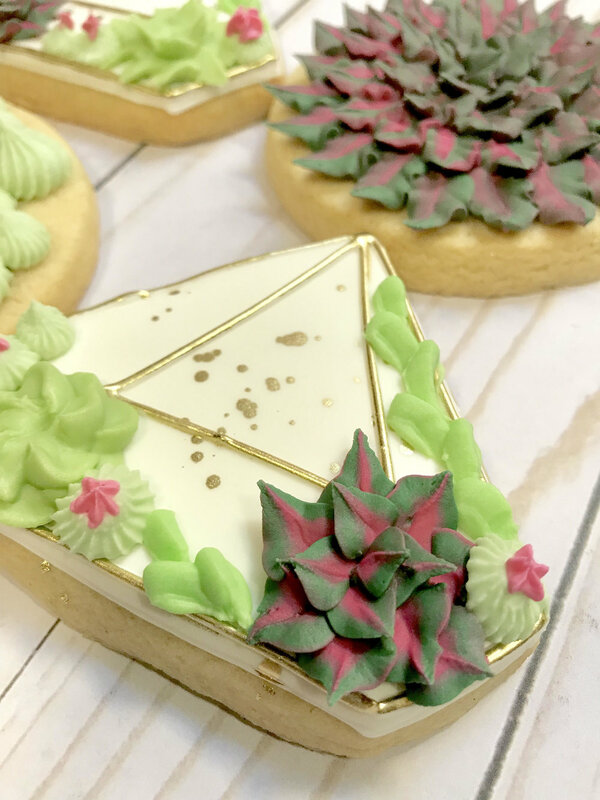 Come learn how to decorate succulent cookies with Sweetly Created Cookies! In this class you will create your own edible succulent terrariums as well as learn how to pipe various succulent plants out of royal icing! 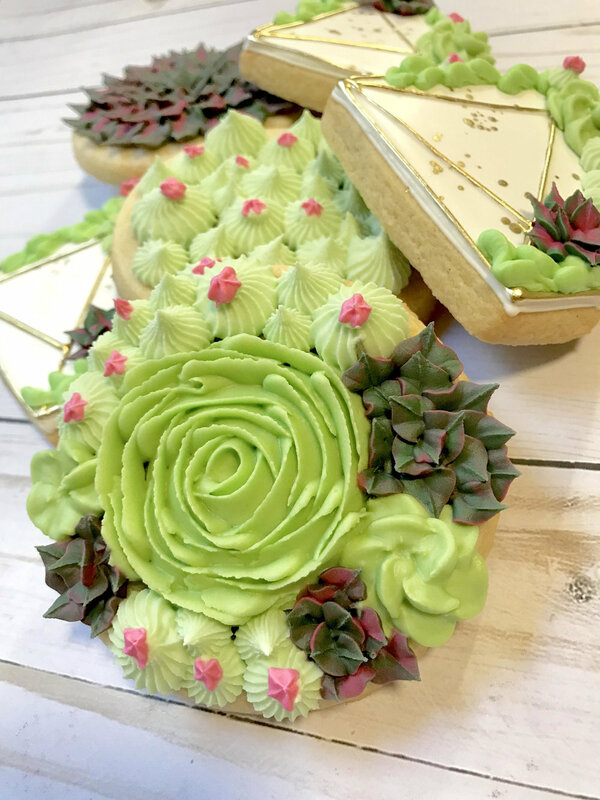 Sweetly Created Cookies creates beautiful and uniquely decorated cookies to sweeten up any occasion. Their eye catching designs and delicious taste will instantly transform your event theme into edible art!